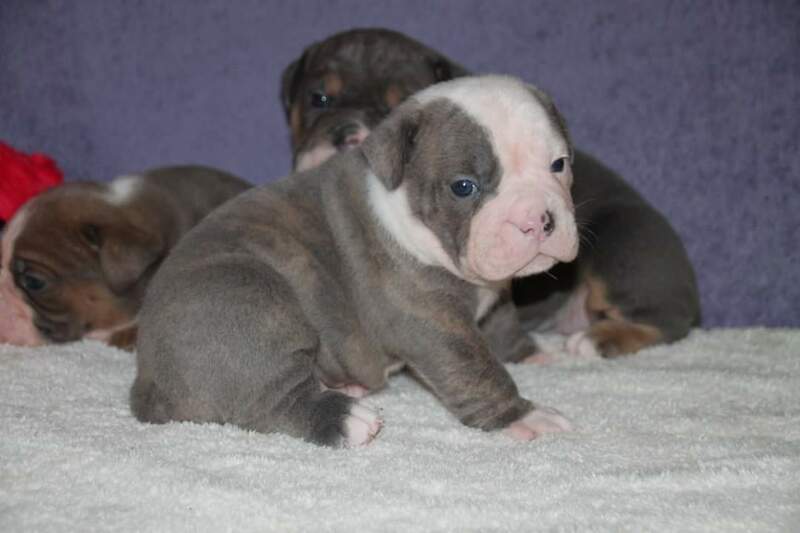 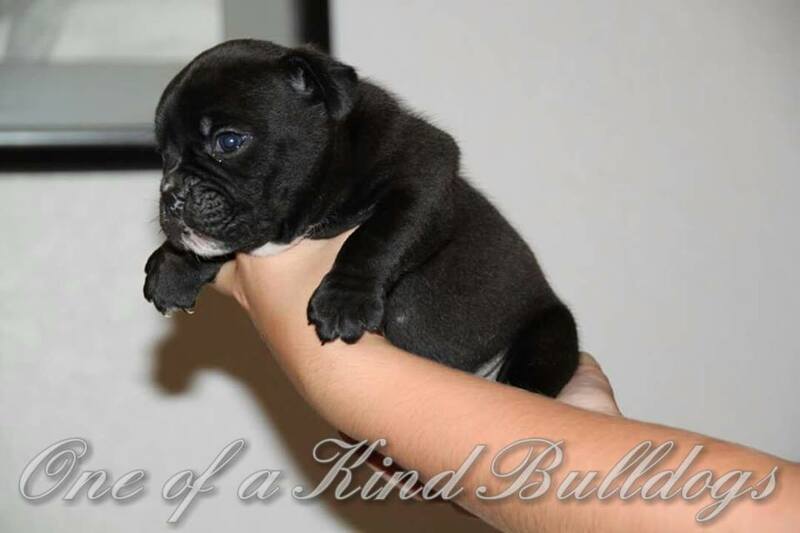 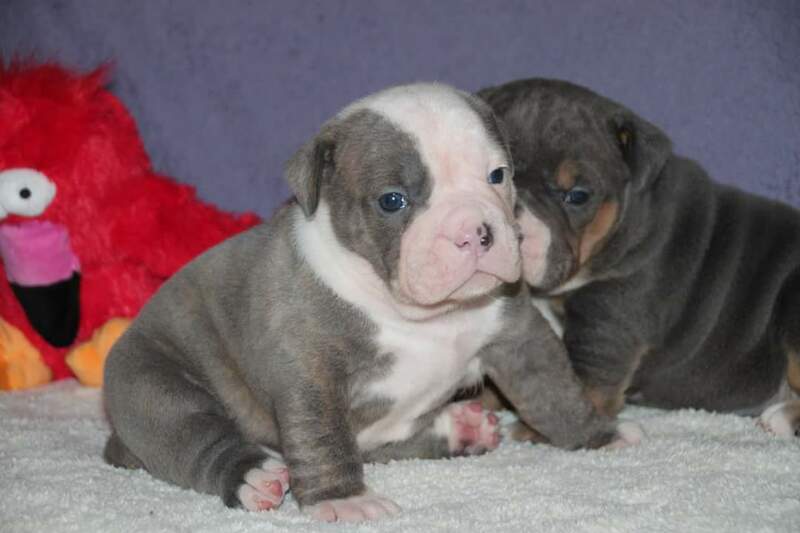 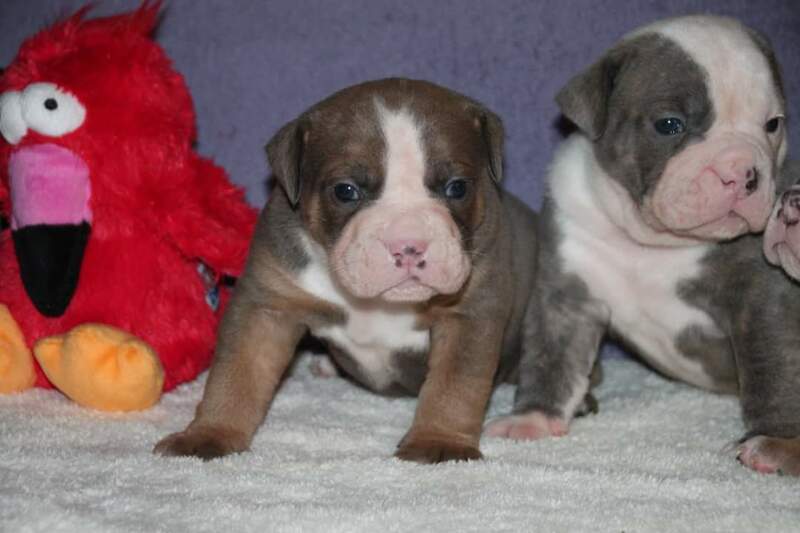 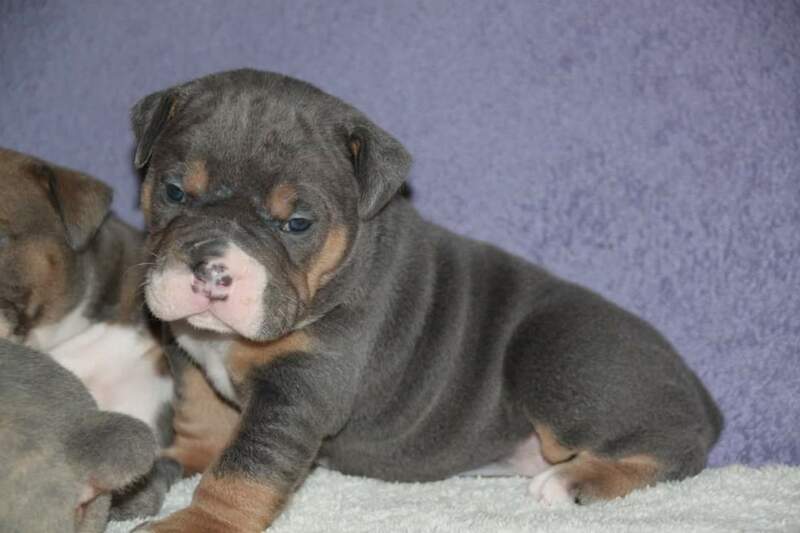 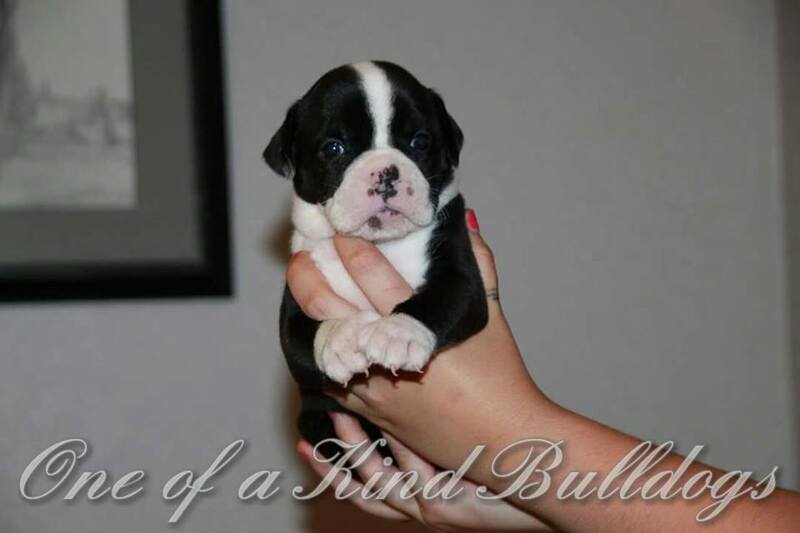 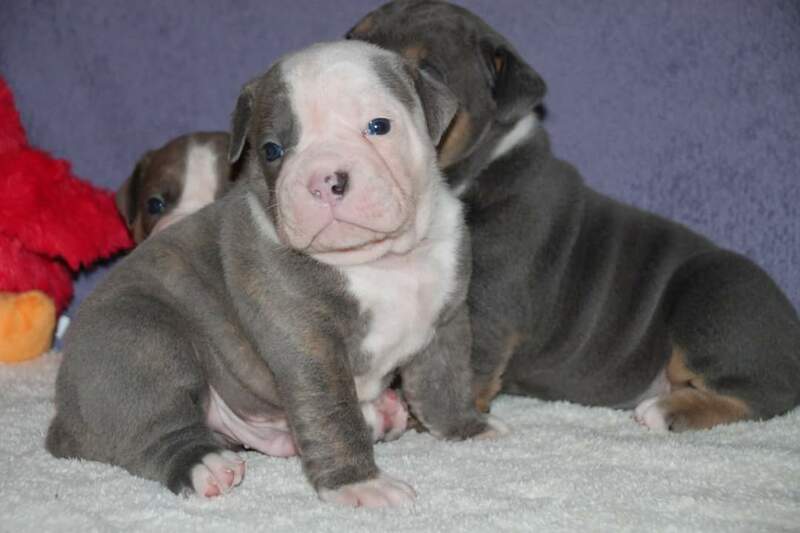 Prince and Pretty litter of 3 beautiful blue Olde English Bulldogge boys. 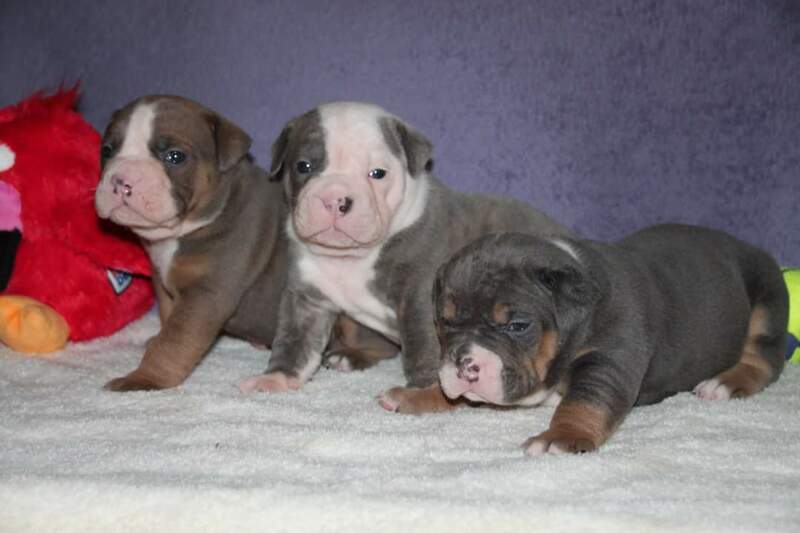 All these boys were spoken for between deposit holders and are already placed in their loving homes. 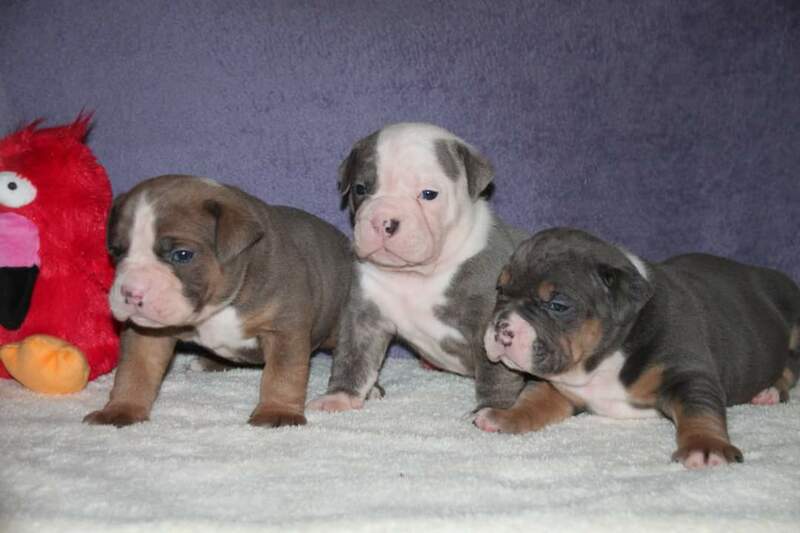 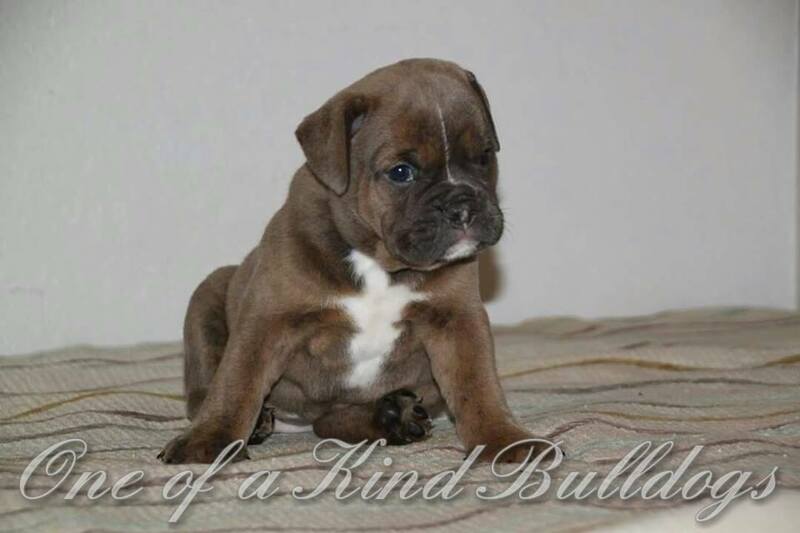 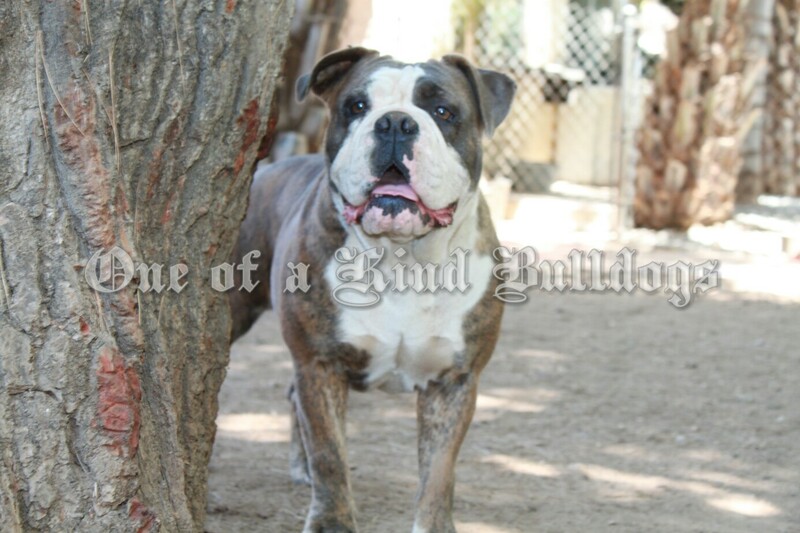 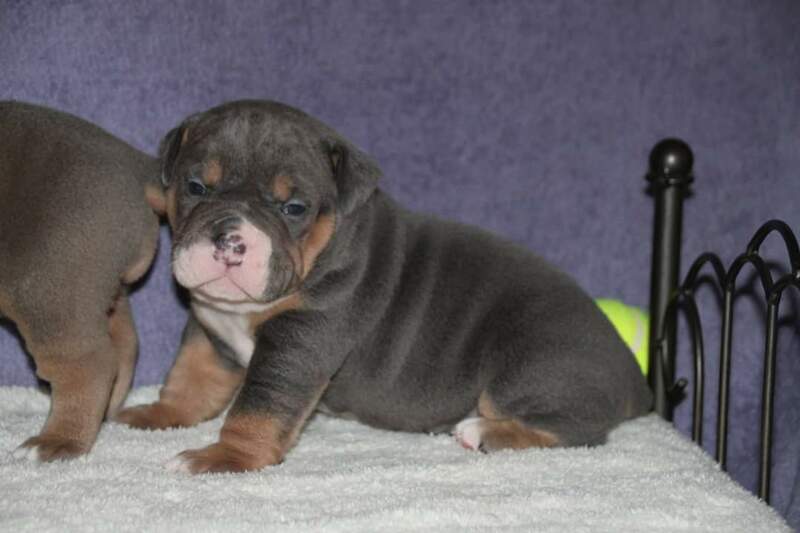 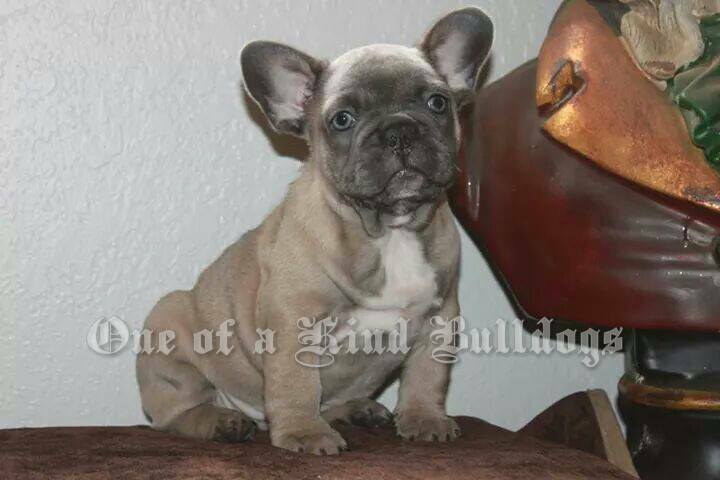 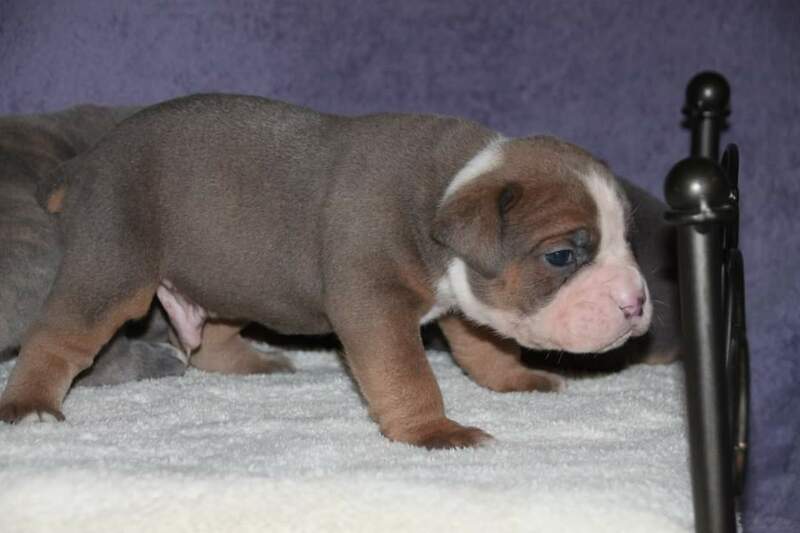 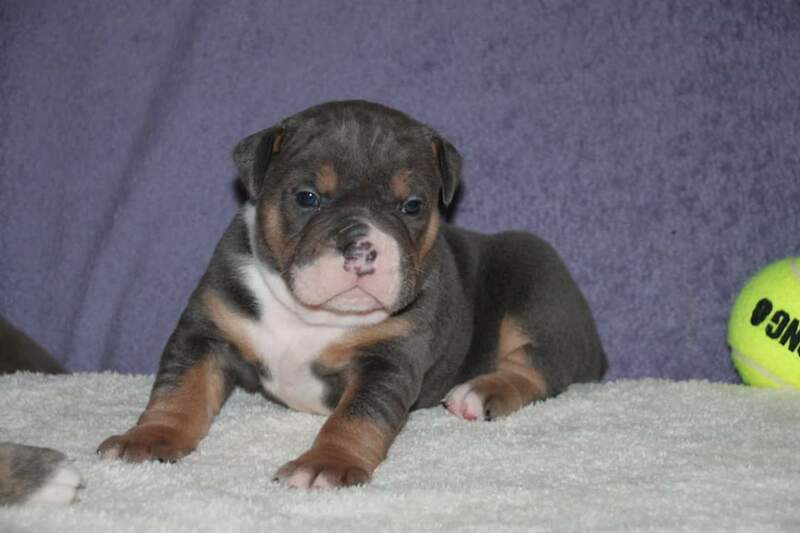 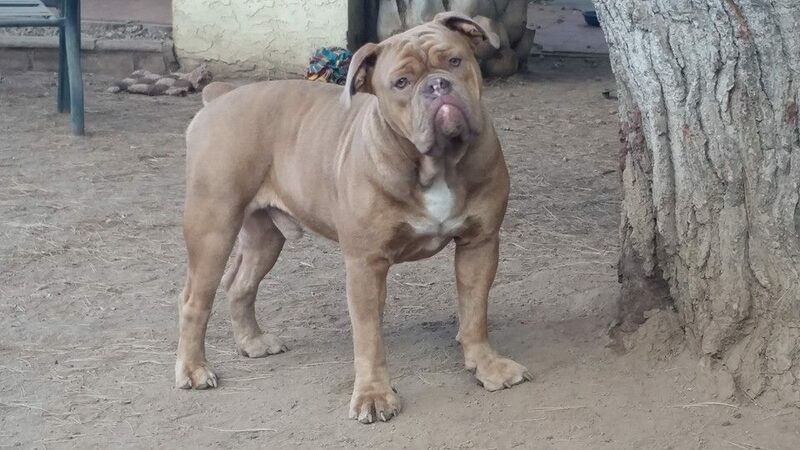 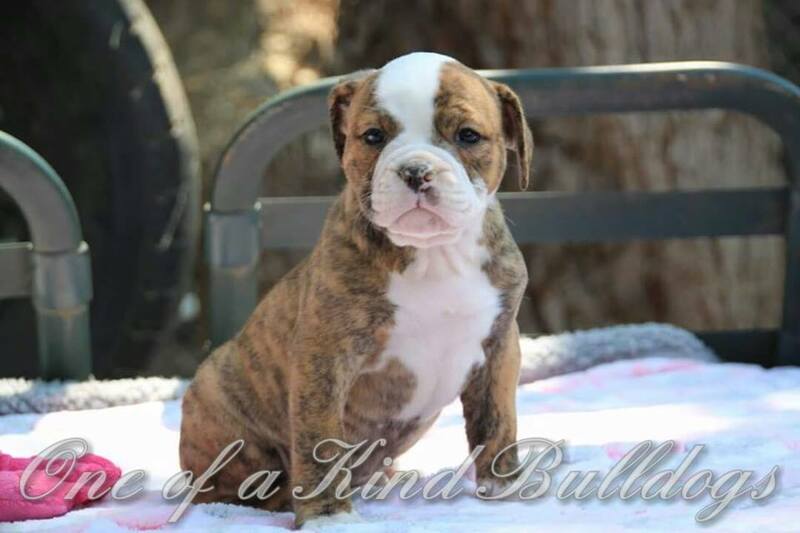 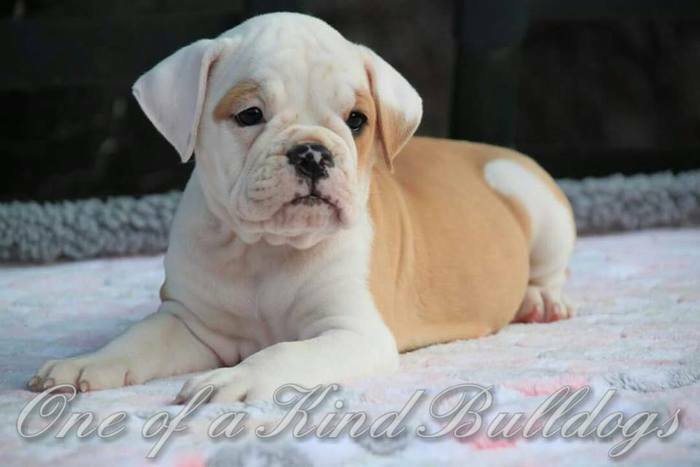 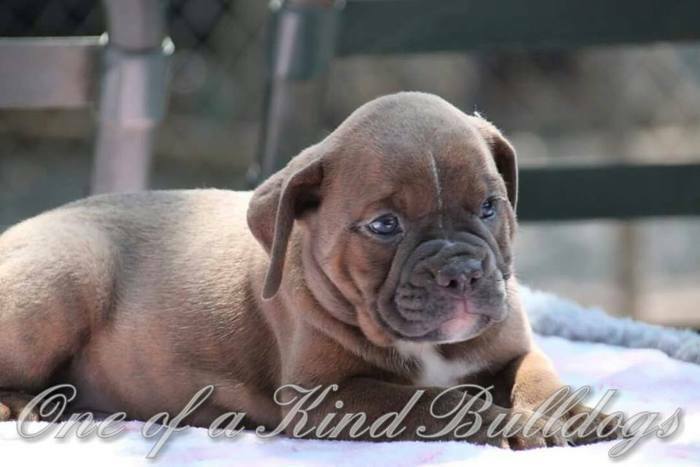 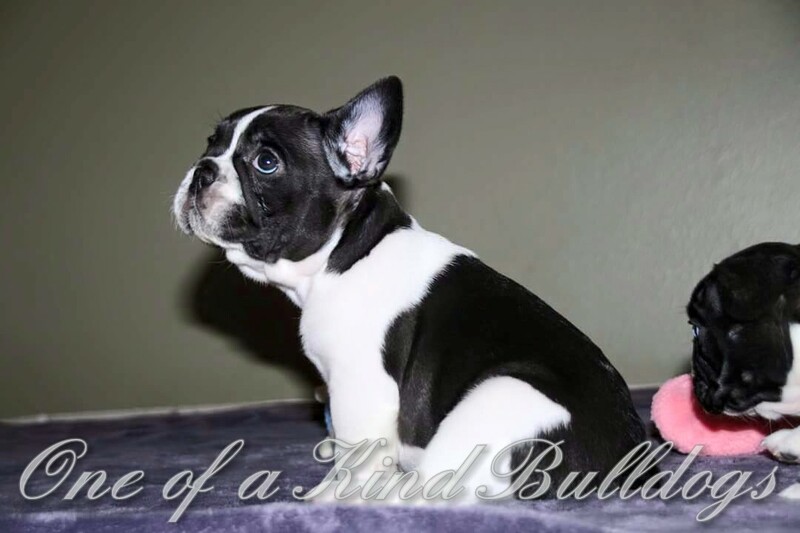 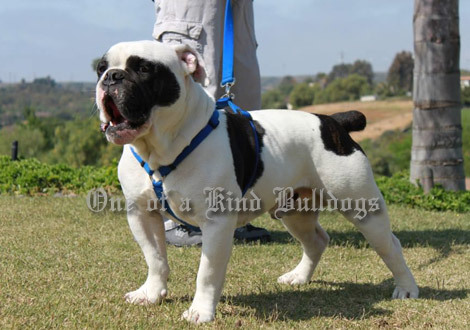 The blue tri Olde English Bulldogge pup went to Northern California, the blue brindle stayed local in San Diego and the sable boy went to Baltimore, Maryland.